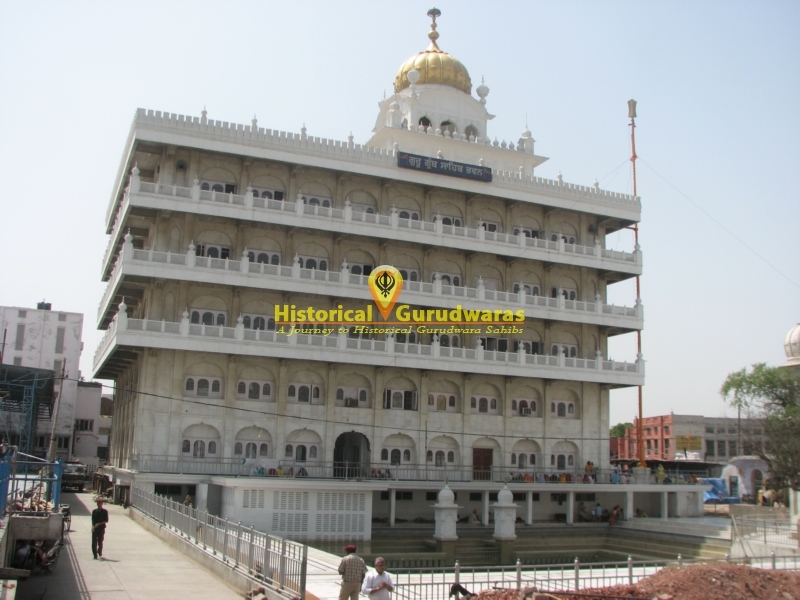 GURUDWARA SHRI RAMSAR SAHIB is situated in Distt City Amritsar. It is situated in the Chattiwind Gate area. 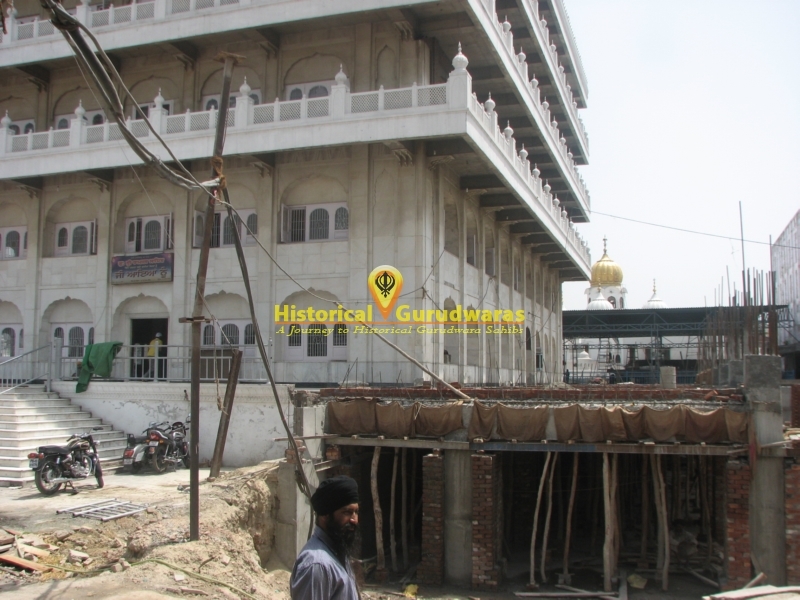 SHRI GURU ARJAN DEV JI got a Holy Tank (Sarovar) dug here and named it RAMSAR SAHIB after name of SHRI GURU RAMDAS JI. 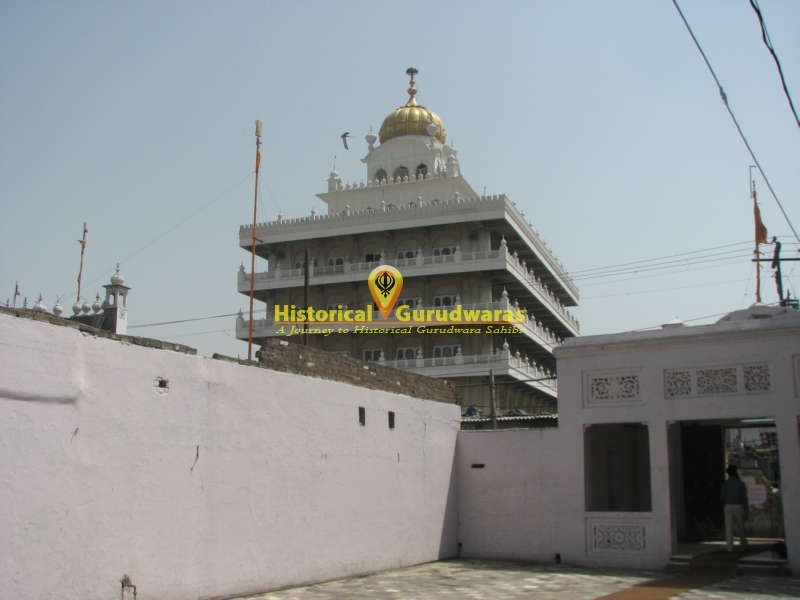 It was calm place and GURU SAHIB got his tent pitched on the south side of Sarovar. 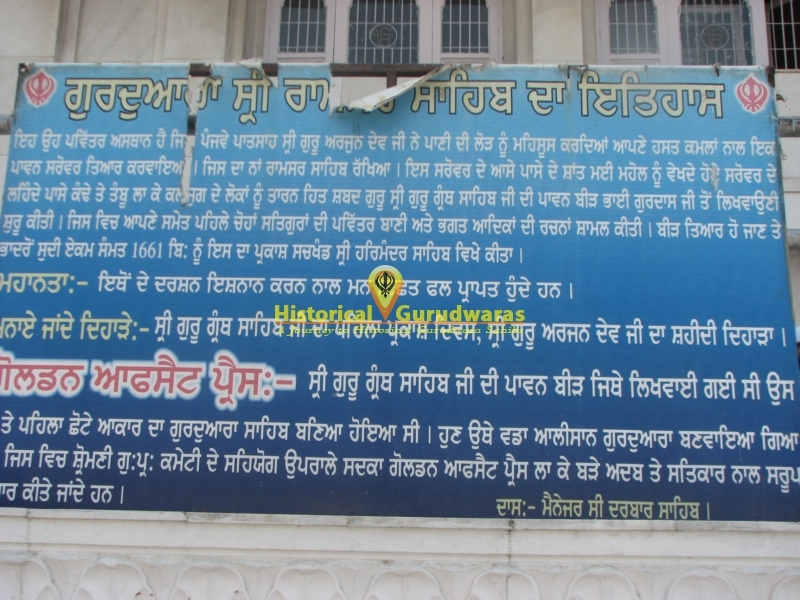 GURU SAHIB started dictating SHRI GURU GRANTH SAHIB JI to Bhai GURDAS JI which included relics of all the four GURU SAHIB and SHRI GURU ARJAN DEV JI\"s also. 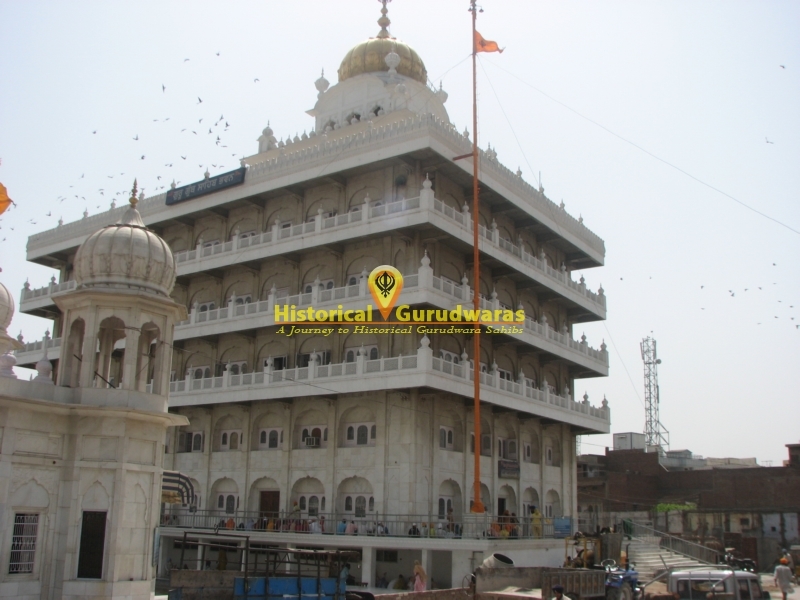 When SHRI GURU GRANTH SAHIB was completed then it was established at SHRI HARIMANDIR SAHIB. 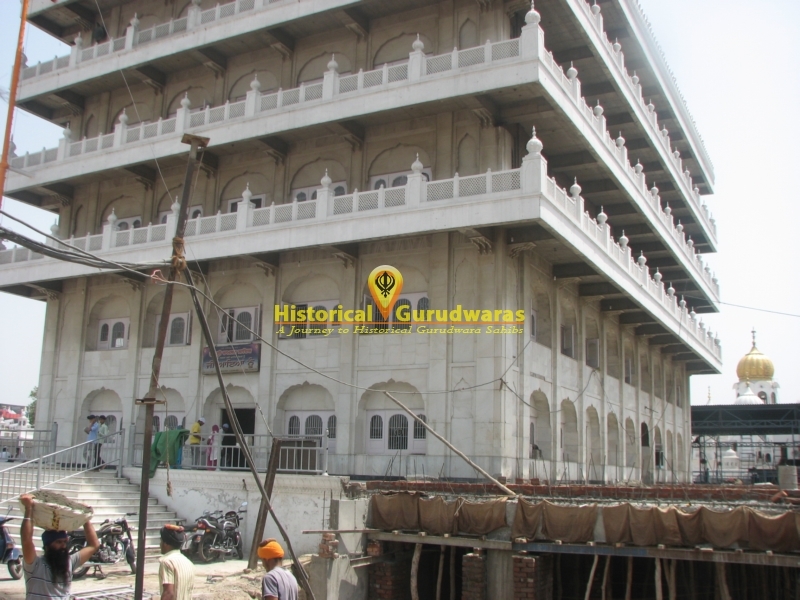 Now in the modern day printing of SHRI GURU GRANTH SAHIB is done here only.